In this fast-moving market, current up-to-date knowledge and experience is required in order to be able to win in PPC in this highly competitive market. PPC allows you to capture qualified leads with high intent on purchasing your product or service. A Smart Marketing Plan isn’t complete without a PPC component to complement existing SEO/SEM efforts and other marketing channels. Our marketing strategies are ROI-focused and insight-driven. While most other companies provide a cookie-cutter processes, we take the time to learn about your particular needs and business goals. We help your business achieve predictable revenue, sustainable growth and measurable results. Google Adwords Certifications and Bing Accreditation. AdWords continues to be the #1 PPC platform delivering instant traffic and insights. We are Adwords Certified on Search and Display. Bing Ads is a great way to attract clicks on a less competitive stage, we can create and optimize Bing Ads to grab that extra traffic. We are experts in the wide variety of Facebook & Instagram ads. Crafting and designing eye catching ads to engage your target audience. 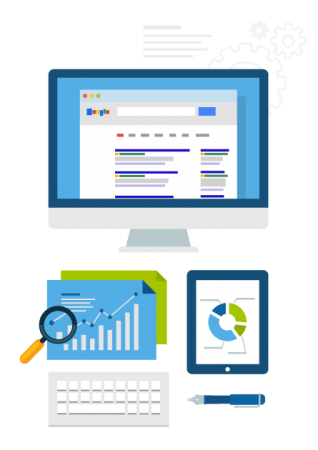 We offer a PPC audit as a service to clients who aren’t necessarily looking to switch PPC providers, or let go of managing the accounts themselves – they are simply looking for ways to improve and hone their efforts.